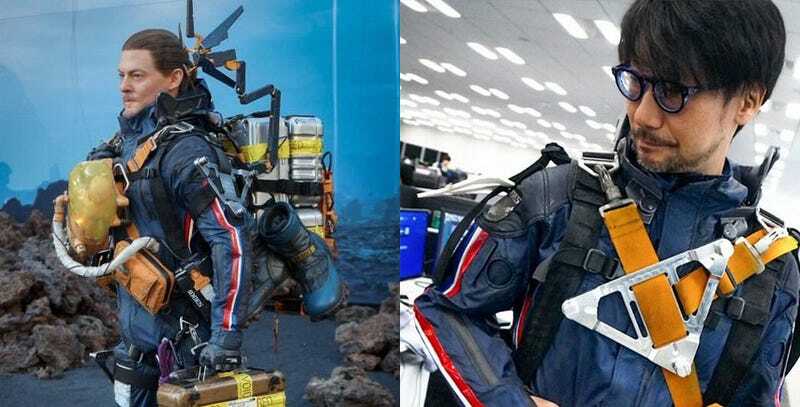 To help promote Death Stranding at E3, Kojima Productions had a life-size figure of star Norman Reedus made up, then dressed as he appears in the game’s trailer. If you’re wondering about the scale of that figure, it’s 1:1 Hideo Kojima-sized. If you missed Death Stranding’s big showing at Sony’s E3 press conference, it’s still looking weird as hell.